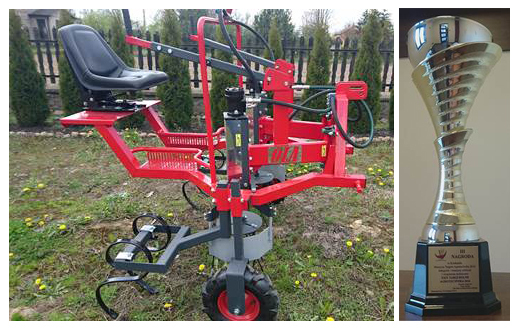 Our customer Dominik Widarski – Agricaltural Equipment Manufacturer, won the third place in the category Agricultural Machinery and Technical Equipment. The award ceremony was held during the exhibition XXIV Targi Rolne AGROTECHNIKA 2016 which took place on 23-24 April at the Agricultural Advisory Centre Lodz located in Bratoszewice, Poland. Dominik Widarski’s agricultural machine was awarded for its aesthetics and the final finish. The product is coated with our colors PP 200/3100 and PP 200/7016/SP.